they not only demand high-grade vehicles: they are also keen to learn about the exact benefits associated with the technical equipment. 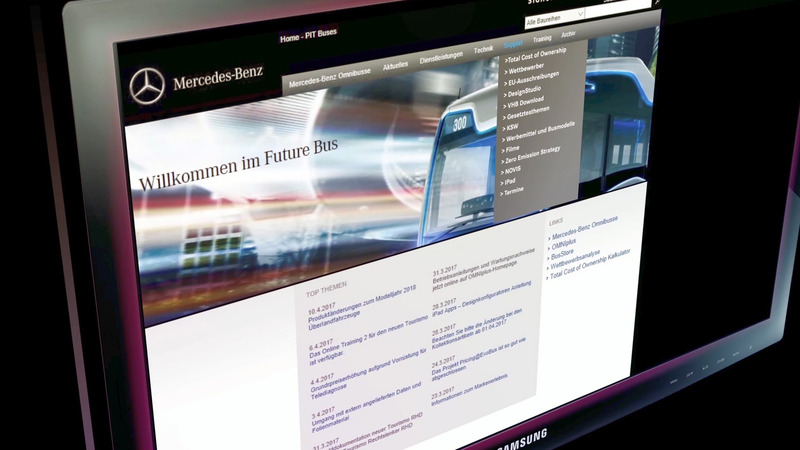 for Mercedes-Benz and Setra, two EvoBus brands. The combination of these media helps convey the added value of technology. we maintain the company’s in-house editorial system, which plays a key part in multimedia creation of sales documentation.